Chesapeake Glen Apartment Homes complements your busy life with features and amenities to make your days smooth and easy. Our fantastic location puts you close to work, play, and class. Here, you’re steps from Amtrak and light rail, and near I-97 and Routes 100 and 32. The perfect end to an easy commute comes with available assigned parking. Once home, take a lap in the pool, lift some weights, or leash up the dog for a relaxing walk around the grounds. One, two, and three bedroom floor plans offer plenty of storage with roomy closets, a linen cupboard, and ample kitchen cabinets. Your upgraded kitchen is stylish and practical with a stainless-steel sink, modern appliances, and available granite countertops. Welcome home. 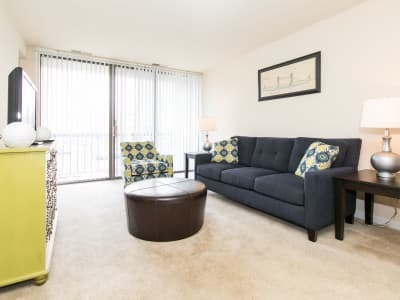 Arrange your visit today and explore all the possibilities of exceptional apartment living at Chesapeake Glen Apartment Homes in Glen Burnie, MD.